What would you do if you were told you had to go to work but weren’t going to get paid? That’s essentially what’s been happening for numerous U.S. federal government employees, as the partial shutdown of the U.S. government — the result of President Donald Trump’s battle with Democrats over funding for his vaunted (by him at least) border wall — continues longer than any other such shutdown in the history of that country. A lot of government services simply aren’t being provided right now as workers stay home, but some who have been deemed “essential” must still report to work — even without paycheques coming in. Not surprisingly, that has resulted in at least one lawsuit — from air traffic controllers, whose union is claiming they are being illegally denied pay. The situation is not quite like that when unionized workers go on strike or are locked out but some who are deemed essential must go back to work — as seen in Canada in December when the federal government legislated striking Canada Post employees back to work. In the latter circumstances, the employees are paid, even if they don’t want to be back to work under the existing employment conditions. Indeed, in Canada, it’s a fundamental right of employees to receive pay for work, enshrined in employment standards legislation across the country. The closest situation to these circumstances in Canada in recent memory might be the mess the Canadian federal government has had over the past few years with the much-publicized and pretty much disastrous implementation of its Phoenix automated payroll program. Glitches in the program led to many employees being paid improperly or not at all — which unions were quick to point out is contrary to the Canada Labour Code. The government has had its hands full trying to pay back employees who were underpaid, a process that’s still ongoing. But the whole thing was due to technical problems — the employees were still receiving paycheques, for the most part — at least, that was the intention. The political system in Canada is different than in the U.S., so a shutdown that’s essentially for political reasons like the current one in the U.S. couldn’t — or shouldn’t — happen. Now, if the Canadian government ran out of money and wasn’t able to pay employees, some of the more important employees might be asked to perform their job duties for a time until the government was able to get its hands on some funds, but it’s not quite the same situation. The air traffic controllers’ union is right in that its workers are being denied pay — labour standards legislation, much like Canadian legislation, requires a minimum wage to be paid for work performed. 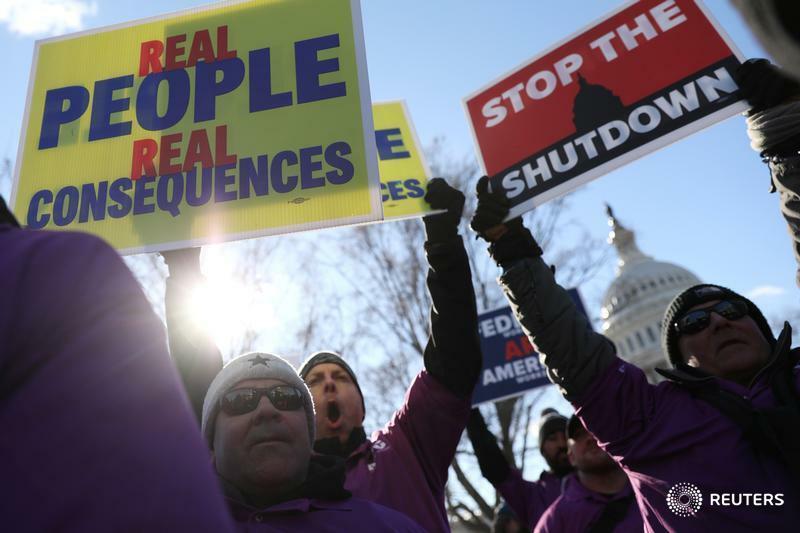 In past U.S. government shutdowns, federal employees who had to work were eventually given back pay to make the employees whole for their missed paycheques. However, the current shutdown has gone on longer than ever before and could go on for a while longer, given the stubbornness of Trump and the frosty relations between him and the Democrats. If the denial of pay isn’t illegal now, how long could it go on before it becomes illegal? And the air traffic controllers’ union is also warning that working without pay and its associated hardships could negatively affect the focus of some of the employees, thereby risking the safety of air passengers. Either way, the situation is a reminder to employers that the foundation of the employment relationship is that employees perform work and employers compensate them for it. If one side of that relationship doesn’t live up to its obligation, that foundation begins to crack and things can get pretty messy.